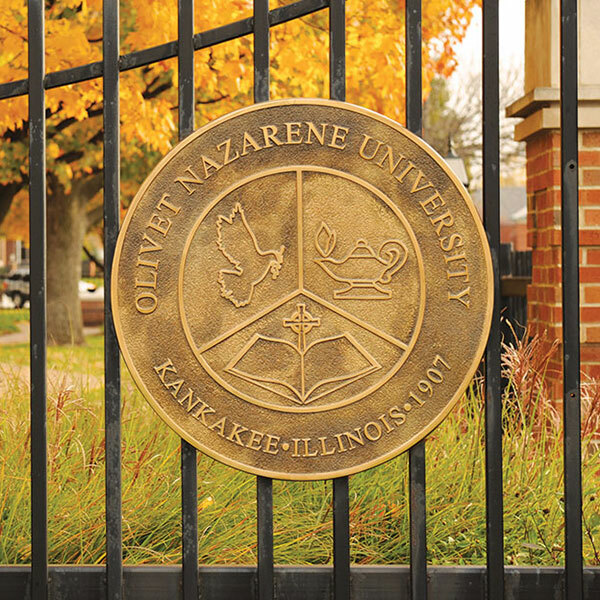 From the fiery red maple leaves of autumn to the white flower blossoms of spring, the scenic campus of Olivet Nazarene University is picturesque throughout the year. Whether studying, playing sports, or relaxing with friends, our students enjoy spending time on Olivet’s beautifully landscaped grounds. The sidewalk paths wind their way around our 275 acres — which includes 25 buildings, from the stately architecture of the early 1900s to the most contemporary and technologically advanced buildings of today — all nestled into the trees and vegetation of Olivet’s park-like campus. In the heart of the campus sits the Decker Quadrangle, commonly referred to as “the Quad” — a meeting place for students, faculty and staff alike. Between classes, meals and trips to the library, “the Quad” is always abuzz with activity.